Members whose dues are current attend free. If you are a past member you may be in our database and may renew at this time. For an additional $10 you can join NORVAN and attend our other programs for free as well as receive a discount on our all day program in April. RN students only. email us for the code. include school and semester in the email. Christopher Gadsden Carsten, III, M.D., F.A.C.S. Patients who have chronic medical conditions such as hemophilia, Crohn's, and sickle cell require lifelong venous access and represent particularly challenging patient populations. Currently these patients are frequently managed utilizing either Peripherally Inserted Central Catheters (PICC’s), tunneled cuffed catheters, or implantable ports. 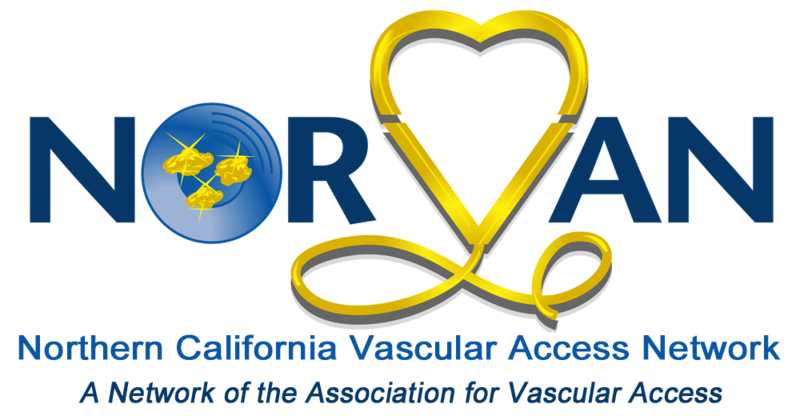 This presentation will discuss the use of surgically created arteriovenous fistulas as an alternative to catheter/port based long-term venous access in patients with the need for permanent venous access. 1. Identify patients who are appropriate for consideration for placement of an arteriovenous fistula for long-term venous access. 2. Understand the physiology and function of an arteriovenous fistula. 3. Understand the technique of accessing and using an arteriovenous fistula. 4. Identify the common complications encountered in patients with arteriovenous fistulas. 5. Identify potential advantages of arteriovenous fistulas over catheter based venous access. Provider approved by the California Board of Registered Nursing, Provider Number CEP12371 for 1 contact hour. Vendor tables are available. Vendor membership required to display at NORVAN events. Join or renew to sign up for a spot.